“Potential surface hydrologic responses to increases in greenhouse gas concentrations and land use and land cover changes” [link] … Illustrates that land use/land management is a 1st order human climate forcing. Thanks as always, Dr. Judith—the day another “Week In Review” comes out is always full of fun and surprises. So … most GCMs (global climate models) don’t permit eddies? Who knew? I do love it when folks claim that the models are built on “basic physics”, that they are created on “first principles” … only now to find out that most of them don’t permit eddies. Settled science at its finest! They look at the climate history and tell us of the many things they don’t yet understand, but then they tell us they have modeled this stuff they don’t understand and the models tell what will happen next. The models cannot reproduce what already happened. You know full well that the settled bit is that CO2 is a GHG, we have increased it from 280 to 400+ ppm since mankind became industrialised and it is causing the GMT to rise. The amount it will rise is not settled. Computer modelling of climate is not settled. The IPCC states 1.5 to 4.5C per x2 CO2 … that’s the bit that’s settled. Tony: You mean it is settled that the IPCC says this? I agree. That it is true, not so much. CO2 does not control temperature, as best we can tell. That the CO2 increase is causing GMT to rise, not at all. neither do many validated models of aircraft. you can be physics based without representing every detail. Speaking of models… congrats to Dr. Curry and CFAN for correctly predicting Florence. As someone whose city was partially evacuated based on the awful GFS models, it was good to see Weather.com eventually getting around to showing the correct track crediting the European models “as adjusted by CFAN” in their blog. I assume that’s the same CFAN. how deep learning can be used in a climate model to parameterize convection. Oh great. Just what climate science needs now: another algorithm to estimate an unmeasurable (or at best poorly measured) fundamental quantity, where the effects of particular data values can’t be traced through the calculations. “TRIPODS+Climate will create new methodologies in machine learning and network estimation that reveal the structure of the Earth’s climate system and its regional hydroclimatic impacts. Machine learning, where statistical algorithms use large datasets to detect patterns and make predictions, can be used to find teleconnections previously hidden from human observation. Network estimation methods can mathematically conceptualize global climate as an interconnected structure of nodes, so that scientists can better quantify and understand complex influences across geography and time. These tools will then be used to build new computational climate models and create new platforms for climate diagnostics and prognostics, improving seasonal and subseasonal forecasts. More accurate predictions will help scientists and policymakers understand and prepare for climate change, extreme weather events, and water allocation under conditions of high or low precipitation. “The College of Science and Engineering (CSE); College of Food, Agricultural and Natural Resource Sciences (CFANS); and Minnesota Supercomputing Institute (MSI) will lead a team to advance the state-of-the-art in machine learning for analyzing data from earth-observing satellites and generating actionable information on a global scale. jacksmith4tx: These tools will then be used to build new computational climate models and create new platforms for climate diagnostics and prognostics, improving seasonal and subseasonal forecasts. More accurate predictions will help scientists and policymakers understand and prepare for climate change, extreme weather events, and water allocation under conditions of high or low precipitation. One lives in hope. I expect good results, validated and calibrated against decades of observations, decades hence. but using multilayer neural networks (that is, neural networks with multiple hidden layers) to parameterize convection? That’s just another way of chasing your tail. Machines can learn what humans do not yet understand. Who knew? Okay, I am kidding. No chance. And now for another reminder of what Ioannidis’ position actually is, since his position has been abused on this website multiple times in order to manufacture false doubt about science. Thus Ioannidis’ points would do nothing to undermine well-evidenced points in nutrition science, such as the contribution of saturated fat to heart disease risk. He is not a climate scientist and has not studied the issue. His opinion is second-hand. My opinion was the same as his, before I studied the issue. One cannot decide if the consensus is right without studying the evidence. And Ioannidis research is not about the solidity of consensus, but the irreproducibility of research. Model based research is absolutely reproducible. With the same model under the same conditions you get the same results. Whether they are related to anything real is a different matter. When I have not studied the evidence, I trust the experts, but I will ask for a second opinion or study the evidence if it matters to me. I never trust consensus experts, I look at the skeptic experts very carefully. Yet people on this website happily abuse his work to manufacture false doubt on climate science. How telling. Re: “My opinion was the same as his, before I studied the issue. Yes, I’m familiar with how you’ve distorted the scientific literature during your “studie[s]”. We’ve had multiple discussions on this before, and there’s a reason why the more informed scientists accept the evidence-based consensus in their peer-reviewed papers, while you reject it in the blogposts you make here. False, as shown by the behavior you (and virtually everyone else) display everyday. For example, you likely regularly rely on the consensus on medical experts when it comes to medicine, without reviewing the evidence. Unless, of course, you’ve gone to medical school and read up on the literature regarding the various questions doctors ask you, the medical tests they perform, etc. Similarly so for you relying on the expertise of food scientists when it comes to the processed food you eat, aeronautical scientists when it comes to the planes you fly in, etc. You simply don’t have the time+expertise needed to review the scientific evidence on the numerous topics in which you rely on (and thereby implicitly accept) the evidence-based scientific consensus. If you think otherwise, then there’s going to be a lot of peer-reviewed research you’re going to need to read before you eat processed food, wear clothing, fly in planes, etc. It is now widely recognized, however, that in its strict form, this position is untenable […] Quite the contrary, we are dependent on others for much of what we know, since we don’t have the time to investigate everything for ourselves, and many things are accessible only through the testimony of others (see also Hardwig 1985). As documented by Walton (1997), philosophers have therefore shifted the appeal to authority out of the category of fallacy and accepted it instead as a potentially sound form of argument (see also Goldman 2001; Tindale 1999) (287). Which would be largely irrelevant to much of climate science, since many of the central points have been reproduced over and over (ex: climate sensitivity estimates, tropospheric warming, stratospheric cooling that’s greater in the upper stratosophere and becomes more muted in the lower stratosphere in response to the Montreal Protocol mitigating CFC emissions). Then stop abusing his points by acting as if they apply to fields that they clearly don’t apply to. So congratulations on admitting that you often trust experts. How are you going to square that with your appeal to “Nullius in verba”? Ioannidis has demonstrated science has a credibility problem. You argue climate science should be excluded. You need to distinguish between first-hand opinion and second-hand opinion. In the first case it is based on the examination of the evidence, while in the second case it is based on being convinced by arguments presented by others. There is more than one reason. They actually damage their careers if they don’t. When you impose such a punishing system you don’t know what scientists think because they won’t tell. The consensus is weaker than it seems. I hope you are not related to science in any way. Does the motto “Nullius in verba” sound familiar to you? You have absolutely no idea how much studying the man has done about climate science. Regardless, he’s way ahead of you. I don’t presume to know anything about him. But your opinion is biased by your agreement with him. Nope, he has not. Next time, actually look at what Ioannidis said, not what you wish he said. He makes it very clear that his arguments don’t apply to well-established points that have been replicated by different research teams, using numerous lines of evidence. These points include humans causing climate change, and smoking killing people. I already showed where he said that, so there’s no excuse for you not being aware of it. Anyway, last I checked, Curry, Lindzen, Christy, Spencer, etc. all continued to received government funding, be employed in science, etc. long after they made debunked claims in climate science. Doesn’t sound like a damaged career to me. It’s funny how you use Latin to say not to take anyone’s word for it… after admitting you trust the word of experts. I have read Ioannidis. His focus is biomedicine research and psychology, where he and others find a lot of troubled articles. The problem is clearly general because it affects the way science regulates itself. And it affects every discipline because all have the same [lack of proper] controls. Climate science also is filled with wrong, irreproducible, or inane papers. It is clear your lack of knowledge about the things you argue. Then you have Murray Salby, who was fired while on a conference in Paris without a return ticket to Australia. Or Peter Ridd, recently fired by James Cook University for questioning alarming research on the Great Barrier reef. You can ignore all these cases and many others because they don’t affect you, but skeptic climate scientists are very aware that publicly expressing doubts is bad for their careers and their relationship with colleagues. It is another reason to mistrust the consensus. In science you only need to suppress the opposition if you are wrong and they are right. In science no argument can be settled on the authority of anybody. You seem to have trouble understanding simple things. Javier, the excellent Bob Carter was also run out of James Cook, a twopenny-ha’penny provincial university, as was the also excellent Mervyn Bendle in a different field. JCU typifies the decline in Australia’s university system. The experience of Bengtsson and others doesn’t surprise me in the least. This kind of reaction by warmists towards him is entirely consistent with their compatriots’ behavior in other facets of the political dialogue. Destroy opposing ideas and even people, in any manner available, is their mantra. If you have to destroy careers and reputations, then it’s just collateral damage that’s justified because, after all, they need to save the world. Generations from now historians will write about this sick period, much as they write about the Salem Witch Hunts and McCarthy. The sociopathologies are the same. Bengtsson touched the third rail by trying to join a political advocacy group seen as pro-fossil. This is not viewed well among scientists and he learned that. If he kept to scientific criticisms it would be fine but palling around with people like that presented him with a choice. Why am I not surprised that you would justify the inexcusable? The prosecution of people because of their ideas or beliefs. So it is OK for a climate scientist to be an advocate of anthropogenic climate change alarmism and try to change our energy policies, but if you do the opposite you are a pariah deserving all sort of personal attacks and professional damage. You are not even aware of the profound bias and hypocrisy you display. I am saying those who enter into the arena of advocacy have to expect things that are outside of plain scientific arguments. GWPF is a horrible organization. It was a poor choice. It is a pity that we keep forgetting what the great men of the past learned. The problem is clearly general because it affects the way science regulates itself. And it affects every discipline because all have the same [lack of proper] controls. Climate science also is filled with wrong, irreproducible, or inane papers. Well, yes, there is the stadium-wave paper. Once again, nope. The problem is clearly not general, as Ioannidis himself notes with his examples of smoking killing people and humans causing climate change. You are simply abusing Ioannidis’ position applying to climate science, and trying to pass of your own position as if that’s an accurate representation of Ioannidis’ point. Salby was fired for not meeting his teaching obligations, misusing research funds, etc. To claim he was fired for his contrarianism is ridiculous. When you use poor examples like that, it makes you points look rather bad. And your citation of individual scientists whining, is a uninteresting as creationists claiming their career was destroyed for not accepting evolutionary biology, or AIDS denialists (like Peter Duesberg) claiming their career was destroyed because of the evil HIV/AIDS establishment, or Andrew Wakefield claiming there’s a conspiracy against him, or… It’s simply precious when debunked scientists pretend that there’s a conspiracy against them from those who accept the evidence-based scientific consensus. Or maybe you would buy the nonsense in Ben Stein’s movie “Expelled: No Intelligence Allowed”? I’m really not interested in the crackpot stories debunked scientists make up for why their colleagues don’t take their refuted points seriously. Ioannidis opinion is noted, but he is a professor of medicine and statistics, not a climate scientist, so he doesn’t have enough expertise to judge the field. Your debating skills are terrible. Who I trust or not is absolutely irrelevant to the question. No scientific argument can be settled on account of authority. Period. Is that clear enough to you? Did you ever take a course on the scientific method? Did you ever pass it? Why are giving your opinion on things you know so little? Javier, it happens both ways. I am sure Mann and Hansen have received their fair share of unfriendly comments too, but they stand by their advocacy anyway. In Bengtsson’s case it was people he may have respected which made him think twice about entering the world of advocacy via GWPF. If he didn’t respect them, he would have ignored them like Mann and Hansen probably do. Don’t try to hide behind others, Jim. It is you who is justifying here the mobbing and harassment of people because they chose to defend their beliefs anyway they see fit within the law. You only have to answer about your own behavior and opinions. Same as me. I might not like advocacy by scientists as I don’t think it is their role, but it is clearly within their rights to do it, and they should not suffer any type of harassment or prosecution for doing it. It seems awfully unfair to allow advocacy to one side and not to the other. But that is what is happening, and you support it. Javier, advocacy is fine, but you have to take what comes with it. Bengtsson was obviously rubbing some of his colleagues the wrong way, which is understandably a difficult situation workwise and GWPF was not worth that. He weighed things up. His colleagues versus advocacy. Ioannides apparently believes in the manufactured consensus that CO2 is a greenhouse gas. Manufactured because – well – it was never seriously in doubt. Hard to build a case that Ioannidis buys into the delusions of an Atomski that the paleo narratives he google lists are either definitive or an analogue of modern conditions. He then goes off on the same irrelevant riffs on AIDS, smoking, vaccines or evolution. He has a troglodyte stereotype in mind rather than informed discourse on Earth system science. He is a complete waste of time. Right back at you, Javier. You’re a punk. I’m a fan of Ramones and The Clash, but not really. I’m more of a rocker. Interesting that smoking is a comparison since Heartland has had their hands in muddying he waters for both smoking and climate science for some time. There was even some crossover with a “professional” or two from Heartland between the two topics. Goodwin is discussing what Aristotle referred to as rhetoric, what we are talking about here is logic and dialectics. I fear you are confused (and you will have gathered that none of this is particularly new). I actually read what I cite, to make sure I understand it. So next time, don’t arrogantly make false claims about something that I have read+understood, and which you have neither read nor understood. Apparently there is a gap between reading and understanding. I’m surprised you don’t understand the difference between referring to ‘the logic of the appeal to authority …’ and the use of the appeal to authority as a form of logic, dialectic or rhetoric. Perhaps arrogance lies in the eye of the beholder. Next, please read for comprehension, so people don’t have to continue holding your hand on this. I see what the problem is. As I suspected you don’t understand the distinct forms of argument that are being discussed. The form of argument Godwin is referring to, argument from authority, is called by Aristotle “rhetoric”. It is a technique used to persuade in the course of “general civic deliberations” (to quote Godwin). But it isn’t a form of argument that should be used in science, as is being discussed by others here, and nor has there been a retreat from that view in the empirical science. This distinction has a long history as I noted, something perhaps to brush up on. I’m really not interested in what evidence-free claims you decide to invent about a paper you never read. An argument is an argument. Period. The context in which one uses the argument is irrelevant to the arguments logical structure, fallaciousness or non-fallaciousness, etc. I suggest you learn that. I’m please to see you are now beginning to understand the idea of the context in which an argument (inference) occurs, even if you deny its importance. When you started your comments here you had no understanding of that concept. We are making progress. Let’s now turn to your assertion “The context in which one uses the argument is irrelevant to the arguments logical structure, fallaciousness or non-fallaciousness, etc.” It might surprise you to learn that precisely because in real life the context is central to these matters, formal logicians have developed a raft of different logics each with their different logical structures and truth functions. How otherwise would they model things like the different standards of proof used in the legal profession? Along with Aristotle and the classical scholars on argumentation, you could perhaps add a study of formal logic to your reading list. Nice try, but no. Wishful thinking, affirming the consequent, etc. don’t stop being fallacious just because of a change in context. Please take a refresher course in basic logic and critical thinking. And actually read the source I cited to you, since you still don’t seem to grasp it. Looks to me like another slippery attempt to promote “smoking is bad” = “CO2 is bad”. Filling your lungs with smoke is clearly a bad idea. On the other hand, CO2 is vital to the survival of life on the planet. Seems to me your objective is to steamroll over any opposition that dares state the painfully obvious: we simply do not know the distant impact of man dumping CO2 into the air. However we do know our energy resources need to be wisely used. Concentrate on the later and the former will take care of itself. Next time, please actually read for comprehension, instead of attacking a straw man you fabricated. Stick to what I actually said, not what you wish I said nor what you pretend I said. I am referring to you. To the extent Ioannidis equates climate science = science & smoking, then ditto as well. The comparison does not “hold-water” at a basic level because of the vast imponderables surrounding our climate. Stated somewhat differently, the climate is astoundingly complex. Lungs, not nearly as much. The later can be evaluated using science while the climate is beyond our current abilities to project into the future. And you’re illustrating my point, by using the same faulty logic the tobacco industry used to cast doubt on smoking causing cancer, cardiovascular disease (CVD), etc. Lung cancer is also complex and not fully understood. That doesn’t change the fact that we know smoking and second-hand smoking causes most cases on lung cancer in the US; hence the evidence-based scientific consensus on that. The lesson here is that complexity does not prevent on from know the primary cause of something, nor does one need full knowledge of everything in order to identify a primary cause. A parallel point applies to climate change: pointing out that stuff is “complex” or “not fully understood”, does not rebut the evidence-based scientific consensus on anthropogenic climate change. It does not change the fact that scientists know that humans caused most of the recent global warming. “Corporations use a range of strategies to dispute their role in causing public health harms and to limit the scope of effective public health interventions. […] these industries argue that aetiology is complex, so individual products cannot be blamed […]. Complex doesn’t begin to define the the distance between CO2 is a greenhouse gas and the Earth system is dynamically complex – in the scientific sense. At the level of paradigm – quite a lot of climate science misses the point. I put a post on your facebook page on the predictable drivers of major heat and cold waves. How about that the AMO is normally warm during a solar minimum. From that frame of reference a net decline in forcing drives a warm AMO. Now, the next thing you didn’t know and that the “so called experts” still do not know. Warm times with warm thawed Polar Oceans provides evaporation and snowfall to rebuild Polar Ice on Land. Ice cores shows that most of the ice on Greenland and Antarctica accumulated in the warmest times. Warm times when it snows more are normal, natural and necessary. The ice sheets are still losing ice at the edges, they always do that, but now they are gaining ice on top of the ice sheets. That only happens in the warm times. Ice core data shows that not much ice accumulates in the cold times. Cold times are when ice depletes and that causes warming later. Warm times are when ice volume increases, extent and cooling happen later. This is how natural ice cycles work. 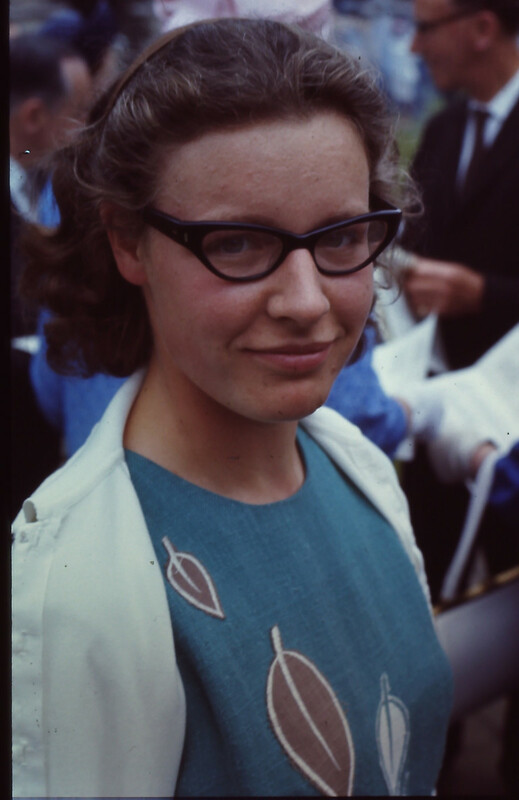 Hazel K Steibeler helped lead the convened panel; initially comprising 6 people. The outcome was the 33% of fruits and vegetables, 33% fats and protein, and 33% of starches forming the original Recommended Daily Allowances. More recently, and with carry over into today’s recommendations, people unhappy with such recommendations further subdivided fats, protein and some starches into the now popular 5 food groups, advocates primarily not willing to have dairy commingled with fats and proteins. Nevertheless, the 3 equal food groups recommended almost 90 years ago still stand, much to the consternation of the PETA and VEGAN diet crowd. “ESA’s Aeolus mission scientist, Anne Grete Straume, said, “These first wind data shown in the plot made by ECMWF are from one orbit. In the profile we can see large-scale easterly and westerly winds between Earth’s surface and the lower stratosphere, including jet streams. In particular, you can see strong winds, called the Stratospheric Polar Vortex, around the South Pole. These winds play an important role in the depletion of the ozone layer over the South Pole at this time of the year. Aeolus satellite is named after the Greek mythological namesake character who was the guardian of the winds. Aeolus is the fifth in the series of ESA’s Earth explorers. Aeolus has redefined wind measurement and monitoring. It is a part of the Copernicus project to track environmental damage and assist disaster relief and rehabilitation efforts. 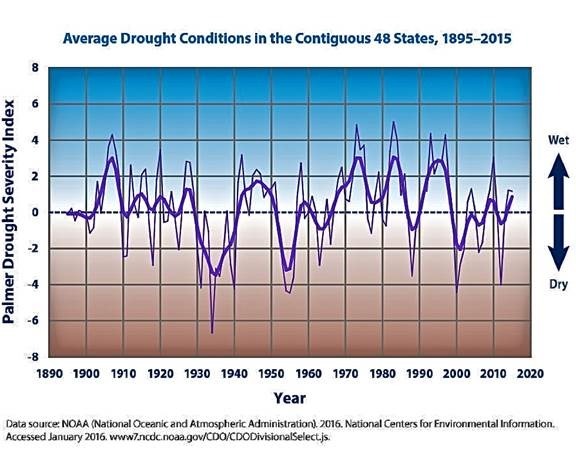 It won’t be long before this data in incorporated into weather and climate models. I am looking forward to seeing how the RSS and UHA satellite observations overlay with this new 3D wind data. Another area that is poorly understood are SSW (sudden stratospheric warming) events and how they disrupt the atmosphere. Sudden events do not disrupt the atmosphere, sudden events are part of natural atmospheric cycles. Change is natural, some natural change is slow and some is fast. 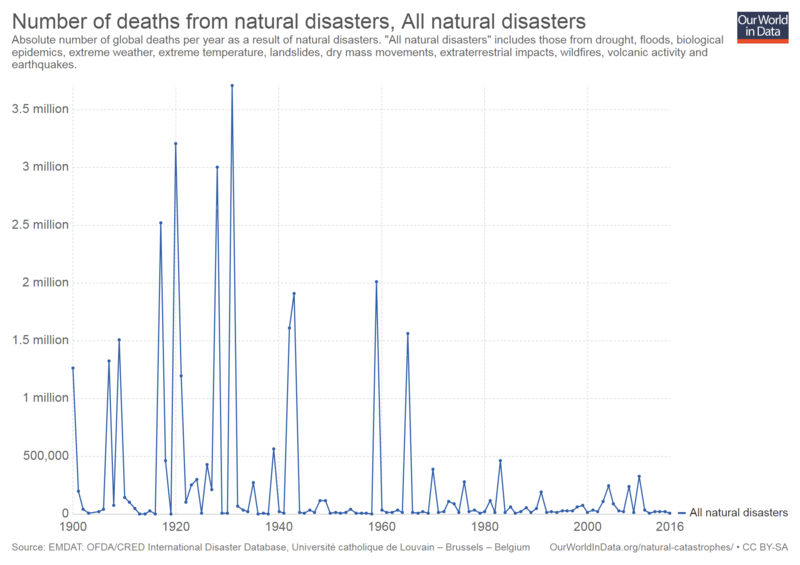 These natural events are part of what happens, and not disruptions. When a jet stream changes its path, it causes sudden changes where it was and also where it moved to, not disruptions, but natural differences. You make natural events sound bad with the words you use. Warm periods and cold periods are natural, normal and necessary, not good or bad. People move when climate changes or people adapt. Fossil fuel has made the adapting to change much easier. People who switch to wind and solar are going to have a much harder time with future adaptation. One of my favorite topics. With or without AGW, that is one of the places that would benefit in the future from an improved flood control and irrigation system. So if the Chinese genuinely want to help the Pakistanis with their Belt and Road Initiative, they would prioritise irrigation and flood control over transport facilities. Sounds sensible to me. When I was living around 8,000 feet in Dalhousie in the Indian Himalayas, I could see the floods covering the Punjab many miles away. I later worked with Punjabi immigrants in Birmingham (UK), I found that they had no concept of maintenance because they built mud houses which tended to wash away every couple of years or so. And no concept of gardens. I suggest you should evaluate the basis of anyone’s conclusion to determine if it makes sense. 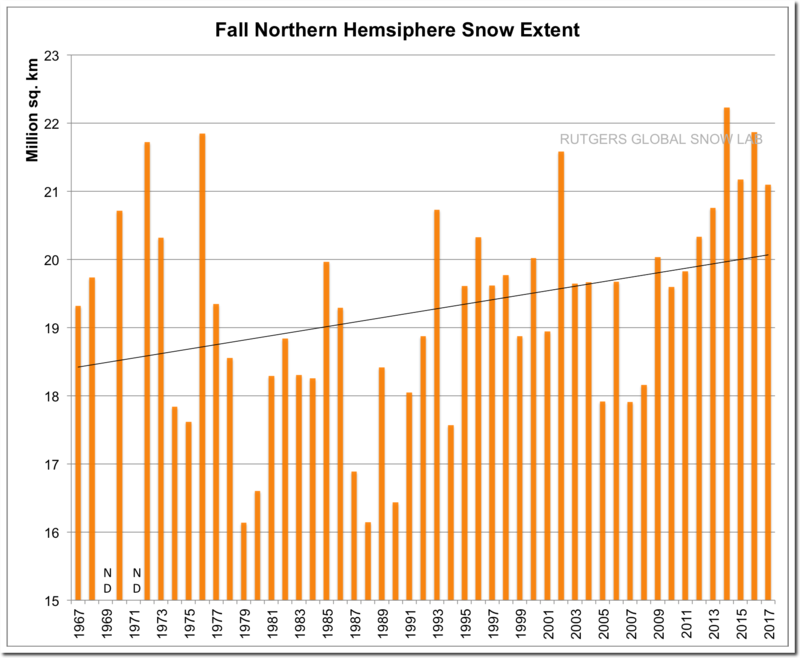 What is the real evidence that agw will result in a worsening climate overall? Can climate scientist tell us with a high degree of reliability what areas of the globe will suffer a worse climate 50 years from now? I conclude that the answer to that question is no. Investing large amounts of money in CO2 mitigation takes limited resources away from investing in things like improving infrastructure. Agreed, I’ve argued for many years that whether or not CAGW is happening and will be net harmful, our best response is to strengthen our economies and societies to deal with whatever (always unknown) future befalls. CO2 makes green stuff grow. CO2 makes green stuff grow better while using water more efficiently. That makes any CO2 mitigation harmful. No evidence has ever been provided that CO2 has caused any warming. All warming so far is inside the bounds of past warming. Explain what caused past warming that suddenly stopped such that now we need CO2 to explain what always before happened naturally. Reducing CO2 is criminal, it is stealing fertilizer that should be used to grow our trees and other wild and cultivated green stuff. Climate alarmists continue to claim that climate change is dangerous. They fail to distinguish between global cooling, which is dangerous, and global warming which in fact would be beneficial not dangerous. 3. Over the past 542 Ma, the average temperature of Earth averaged about 7°C warmer than now. It ranged from about 3°C cooler to about 13°C warmer than now (average of million plus year periods). 7. The last time Earth was nearly this cold was about 300 Ma ago. That icehouse phase lasted about 70 Ma. 8. We are currently about 10 Ma into the current icehouse phase, and trending cooler, including over the last 8,000 years. 9. There is negligible likelihood of escaping from the current icehouse conditions in less than tens of millions of years – so the glacial interglacial cycles we are currently experiencing will continue. To make clear what an unusual situation the planet is currently in, see IPCC AR4, WG1, Chapter 6, Figure 6.1. It shows the planet is currently in the rare situation of having polar ice caps. There have been no ice caps at either pole for about 75% of the past 542 Ma. Global Mean Surface Temperature (GMST) is currently 15°C. Average temperature in the tropics is about 26°C, about -20°C at the North Pole, and about -55°C at the South Pole (Figure 2). Humans operate at all temperatures from -50° to +50°C, and life lives at all latitudes. As the planet warms atmospheric water vapour and CO2 concentrations increase. This improves insulation. As a result, most of the warming occurs as increases in minimums, not maximums – i.e. warmer nights, warmer winters and warming increasing towards the poles but little warming in the tropics. From Scotese (2016), a 3C GMST increase would be only about 1.3C at the equator. That is similar to changes that occur over a few years. These changes are not even noticed by inhabitants. Average temperatures at the equator during the Cretaceous Period (145–66 Ma ago), were about 2°C warmer than now. The average temperature at the North Pole was about +10°C and the South Pole about 0°C (Figure 11). All these temperatures are far better than current for both humans and most life, and would increase global agricultural production. Palm trees and crocodiles lived in the Arctic Circle. Message 1: life thrives when the planet is warmer and struggles when colder than now. Message 2: any global warming we can get this century would be beneficial, not dangerous. So your own source admits to anthropogenic global warming, and admits to warming-induced mass extinction. Your source also admits to ocean-acidification-induced extinctions, and compares that to ocean acidification in response to anthropogenic increases in atmospheric CO2. You conveniently left these points out, making it easier for you to claim that warming would not be dangerous. Why did you do that? My comment is not about CO2 or causes of global warming. It is about the impacts of global warming. Do you have valid evidence that the impacts of global warming from 15 C to say 18 C GMST would do more harm than good overall? If so, please provide the evidence. Secondly, yes, Scotese accepts the consensus position on CO2 causing global warming. However, it is not his area of research; he relies on others. Your own source admits to anthropogenic global warming, and admits to warming-induced mass extinction. Your source also admits to ocean-acidification-induced extinctions, and compares that to ocean acidification in response to anthropogenic increases in atmospheric CO2. Reread the first two paragraphs on my comment. It is not about causes. It’s about the impacts. You are dodging, not me. You and trying to divert to the discussion with “Hey, look over there”. Yet your own cited source (Scotese 2016) admits to anthropogenic global warming, and admits to warming-induced mass extinction. Your source also admits to ocean-acidification-induced extinctions, and compares that to ocean acidification in response to anthropogenic increases in atmospheric CO2. And are you going to pretend the warming-induced mass extinctions and ocean-acidification-induced extinctions are not impacts? Conditions were massively different at the end of the Permian than today. But the warmth of the Permian resulted in a period of the greatest taxonomic diversification seen on the planet. 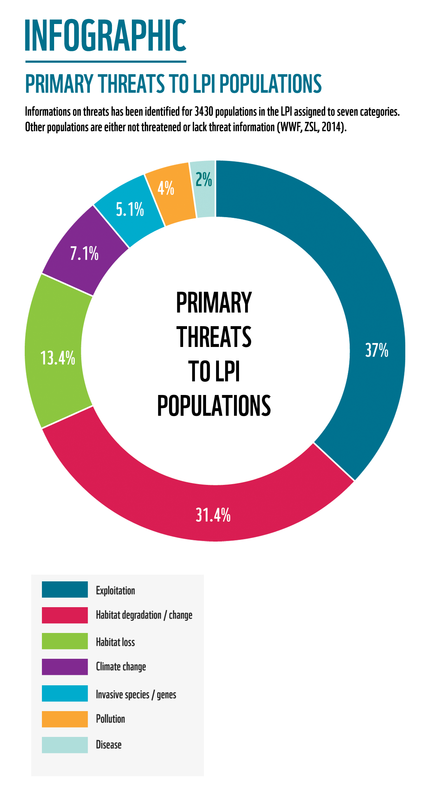 Modern wildlife population pressures have a far more diverse origin. Even then the modest climate change in the 20th century – both natural and anthropogenic – is overestimated as a pressure on biological populations. I scanned all of Atomski’s so called references – they don’t say what he claims of them. The paleo references go over old ground – none present more than a passing allusion to a modern day analogue. Without massive tipping points there is none. The modern references are all about extinction rates without causality – or something else entirely in terms of drilling and mining fossil fuels. The one that does mention climate is concerned with nonlinear biological responses. Something he doesn’t understand even if he read it. “End-Permian mass extinction in the oceans: An ancient analog for the twenty-first century? If you want to have a rational discussion about impacts, there are a few things we need to establish first. I’ll ask you a few questions, one at a time. Please answer them clearly without diverting to other issues. After we’ve reached agreement on these, then we can proceed to discussing the evidence as to whether global warming would be net detrimental or net beneficial. Q1: Do you accept that, if global warming is net beneficial, then we should not implement policies that reduce or slow global warming? As I said in a previous comment we will get to discussing the evidence that global warming from 15C to 18C GMST would be beneficial, if and only if you agree to participate in a rational discussion on this topic and answer the few questions I will pose first to ensure we have a common understanding of the relevant background which is necessary before we begin. Your comments indicate you have negligible understanding of this. If you will not participate in a rational debate and are not willing to answer these questions, there is no point in proceeding. This is of course just another tedious attempt by Lang to insist that his leading and fundamentally flawed question be answered with a yes or no. Else you are – what is his term – intellectually dishonest? I reject the underlying premise of his question. He cant predict change and so can’t know if it is beneficial. You clearly didn’t understand the question. I didn’t predict anything. Just answer the question Lang. If you can’t predict anything then pontificating about costs and benefits has no basis at all. Read the question again. I didn’t predict anything in the question. I can predict with 100% certainty you will continue to be a snarking troll for the rest of your life. So silly he had to say it twice? All of these impact assessments are based on predictions – Lang’s bent is to claim that warming is beneficial. So he is at least playing along with prediction of warming – and at specific quanta. An unpredictable climate is a beast of a different order. A stupid question deserves an appropriate response. And he believes any of this is appropriate behavior? What’s stupid is claiming he doesn’t predict. Can Lang predict the future? Yes or no. Yes. With 100% certainty I can predict Ellison will remain a troll for the rest of his life. Just answer the question and try not to respond with this sort of nonsense. Q1: Do you accept that, if global warming is net beneficial (i.e. the positive impacts exceed the negative impacts), then we should not implement policies that reduce or slow global warming? Can Lang predict climate? Yes or no? Because if he can’t his question has no meaning – and trying to have a rational discussion with Lang is always bonkers. The answer is no, because the word “net” can hide all kinds of evils. Using GDP as the only measure downweights poor countries and is therefore immoral. Net means positive impacts minus negative impacts. Who gets the negative impacts and how much do they get? If you don’t understand, go and find out. Or explain the the climate economists they haven’t a clue what they are doing and you know better they do how to estimate impacts in such a way to make them comparable across impact sectors and across regions. This is why my answer is no. Net benefits doesn’t matter unless you can tax the ones with the benefits to pay for the ones with the losses. “Net” is too simplistic. Utter nonsense. This is just another of your dumb diversion. The question is dead simple. Anyone rational person should be able to answer it. Your diversion could be a relevant question much further down the tree, but not in answer to this first question. I gave an answer and a reason for it. Yes or no based on just the net sign of GDP is a completely foolish way to decide on a policy. It is too simplistic and ignores a lot of subtleties that proper decisionmaking needs. I could ask you whether sea-level rise is at all beneficial for anyone because that comes with global warming. Your answer was clearly wrong and your reason demonstrates ignorance. Clearly, if globally the positive impacts exceed the negative impacts, then global warming is beneficial. Only a denier could deny the bleeding obvious. No, and I gave you the reasons. Benefits do not automatically flow from winners to losers. Global warming has losers and should be mitigated because of that alone. Complete nonsense. So you want to hold the whole world back from development for some silly ideological belief about equity. I suppose you’d argue we should return to the dark ages because some people would be better off. No, that’s your argument. If the richer people are better off you wouldn’t do anything to prevent the climate-related disasters for poorer people as long as the net global GDP was positive. Net global GDP is an inhumane measure for a yes/no decision which is the framing of your question. So, what you are trying to argue is that if the world is better off overall when warmer, but a single person would be worse off, we should prevent still try to prevent global warming, right? Don’t try to divert attention to individual impact sectors or how impacts are measured across all impact sectors. Those issues will be addressed in later questions, if we can ever make any progress. To make progress you have to answer Q1 using simple logic, not by trying to divert from the question and confuse it. I am saying global warming may have marginal benefit for some but harm for billions especially in less wealthy nations, so we need to restrict it to avoid that harm. Climate change broadens the benefits/damage spectrum but there is a damaging end to that spectrum. Better avoided if we can. You’re saying ignore the inevitable harm and don’t do anything to avoid it because some people benefit. Don’t you see how immoral that is? If you can, so can he. PDO due to shift! Lol. Pacific climate shifts have happened at 20 to 30 year intervals over a millennia at least. The sun also rises as someone once said. JCH thinks it has happened recently. In fact I quoted a passage this morning from one of my favorite scientists saying that – inter alia – that may be the case. Just not as dogmatically, obnoxiously and simplistically as JCH. And without the laughing loon impressions. Just answer Q1 first. Don’t avoid this simple question by trying to divert to other issues that Q1 is not about. Once you or anyone answers this question honestly, then we can progress to the next question (as I said in the comment at the top of this subthread here: https://judithcurry.com/2018/09/15/week-in-review-science-edition-86/#comment-880848 – read it again). 4. Avoiding/Ignoring the question or “ . . . and let’s not forget about . . .” Anybody who refuses to admit that their argument is weak in an area and, worse still, avoids answering difficult questions in that area is being intellectually dishonest. If they don’t ignore the question, these people are easily recognised from their efforts to change the subject. 8. Destroying a straw man or “You might say that, but how do you explain . . . ?”. Usually a case of shifting the subject and attacking the opponent’s position on that, unrelated or remotely related, topic. This is usually employed in an effort to avoid a question (Sign #4) or when the speaker/writer doesn’t have the knowledge to address the issue. You also need to explain why you left those points out, even those points undermine your claims of life doing better under greenhouse warming conditions. While she certainly doesn’t deserve the type of attacks she and other female scientists endure, I have to take issue with her notion that so-called climate deniers are quaint. Her statement that previous efforts to argue against prevalent climate change claims were misguided and “pretending” to be substantive..this tells me she is, in her own way, just as dismissive of anything that doesn’t agree with her hypothesis. At least she is polite about patting others on the head who argue against her. No one climate scientist endures more sexist attacks than Dr Judith Curry. We have to thank for bravery in the face of malicious and nasty abuse while keeping a level head and hosting this blog plus testify credibly to Congress. It’s not only Dr. Curry. If you look at how the scientific community, let alone mere bloggers and commenters, has behaved towards Susan Crockford, Sally Baliunas and others, you see the same smarmy behavior. I have no doubt some skeptics have treated scientists like Katherine Hayhoe poorly. But what I remember most is Eli Rabett throwing Tamsin Edwards under the bus for actually keeping an open mind after punks like Rabett had issued her her marching orders. NPG has a special issue on the legacy of Anna Trevisan . Excluding the first and last lines, it’s right on for the consensus. Old world, bipolarity. New world multipolarity. The consensus heroes, for instance Cook’s paper, didn’t work. Because they didn’t have enough understanding of what the hell’s going on. If you line up everyone who bought in, we still find their plans didn’t work. They can’t get their nukes like Hansen wants. They can’t get their power lines or dams or pumped hydro storage. They are not united and only pretend to be. But, they can call out deniers eight ways from Sunday but who cares? They’re frustrated with their old world view. Climate change is racist, sexist, hurts the poor, costs money, it’s a whole parade of leftest causes, it’s even scientific when the climate scientists haven’t been chased off their campus’s by hordes of SJWs who found out they once had a kind word for Bush. It would be easy if it was black and white. They’d have won by now. But their allies are too uncertain and often are after something else they view as more important. Meanwhile, the Farmers Almanac is predicting a very cold 2018-19 winter is in the offing. Every winter has a cold spell, so they’ll claim victory when that happens. Don’t get taken in. You know that because you claim victory on every hot day. …and don’t forget the hurricanes. Warmists claim victory even in big snow storms. There never will be falsification of AGW. The descendants of this generation’s goggle of greenhouse goons will just say the glacial material over Gore’s house would have been 1 km higher without CO2. I think the skeptics ignore the winter storms, but they do notice the floods, fires, heatwaves and hurricanes, because those require some defensiveness on their part when they talk to normal people about climate change. Unfortunately for warmists there is no upward trend in any of those areas. But keep pushing the myth. I think the public have that perception because of all the records that keep getting set. 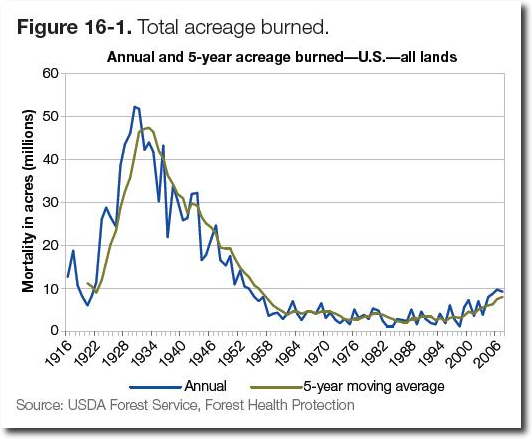 The global area of land burned each year declined by 24 percent between 1998 and 2015, according to analysis of satellite data by NASA scientists and their colleagues. The largest decline was seen across savannas in Africa, and due to changing livelihoods. That’s another one you’ll have trouble convincing Americans of. The fire season seems longer now. 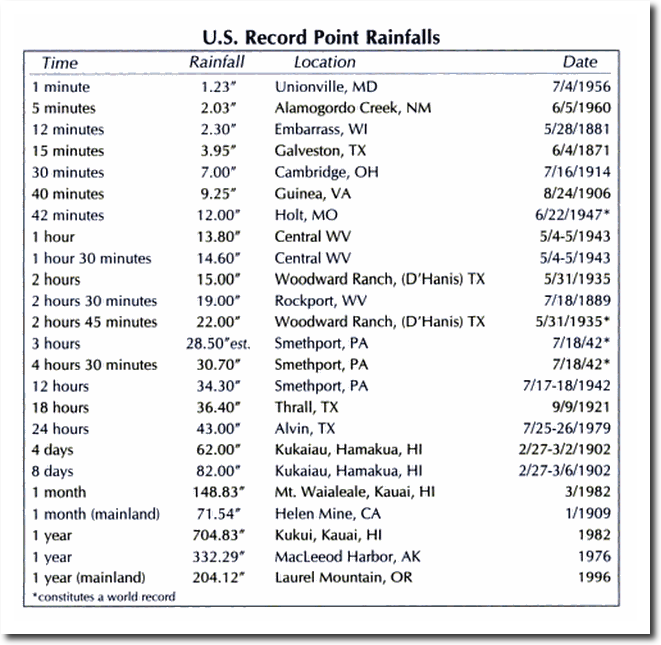 Note how many extreme rainfall events were pre 1950. Most. Trends in major-floods from 1204 sites in North America and Europe are assessed. Trends based on counting exceedances of flood thresholds for groups of gauges. The number of significant trends was about the number expected due to chance alone. 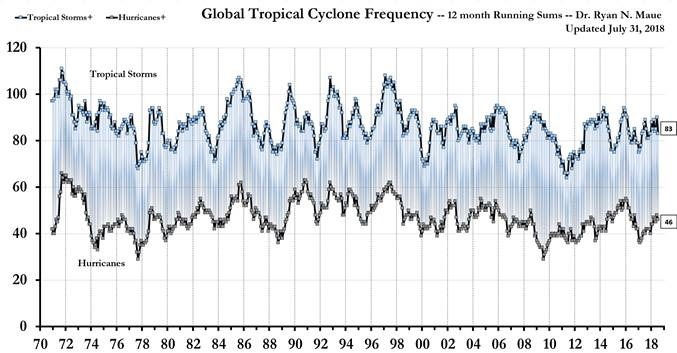 Changes in the frequency of major floods are dominated by multidecadal variability. So if you had a climate service you would advise local governments not to account for changing extremes. This is much like North Carolina who are by rule not allowed to consider more than 6 inches of sea-level rise in planning. Most other coastal communities would view that as reckless abandon (except maybe Florida). 1931 China floods killing up to an estimated 4 million people. Maybe you are not interested in the changing odds. I read that story. So no more than 6 inches of SLR. An excellent rule. Plan no more than 40 years out then to guess at the time frame. Example: I own marshland on the sea and want to build condos. I don’t want someone telling me I can’t build them because sea levels are going to rise a meter. They’ve taken my land in a manner a speaking. Contrast with California. They planned for a lot of global warming. And people have to put solar panels on new houses or whatever the deal is. They’ve taken the land in a manner of speaking, just a bit of it. So the rednecks said, Don’t be like California. 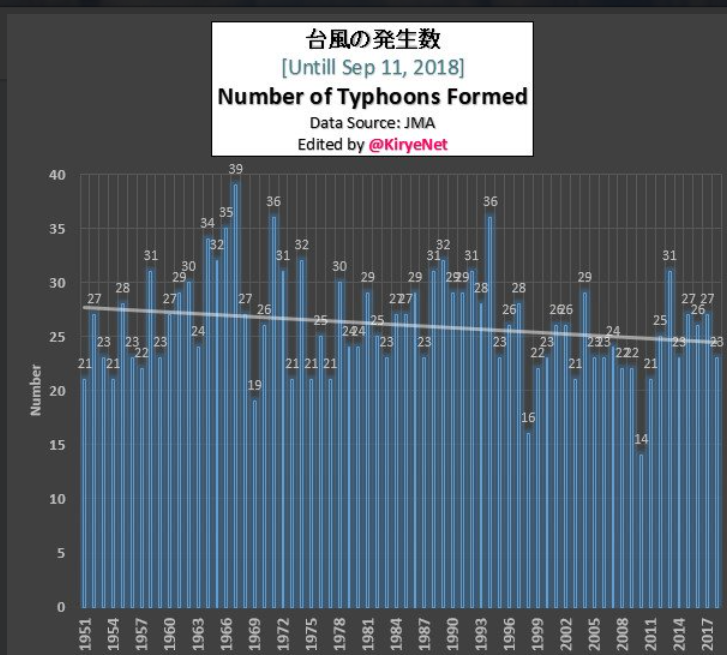 CFAN had 3-8 inches by 2050. If you want it to last till 2100 you have to design for up to 6 feet (Army Corps of Engineers). I think skeptics dismiss these allowances primarily on the basis of cost. The paper on “Economic anatomy of optimal climate policy” is based on a presumption that warming is continuing and will be harmful. It is proposing an answer before determining that there is an actual problem. As an economist, I would first ascertain the problem; and I would not assume that reducing emissions would be the optimal policy if there were a problem. These both look like exercises in damage control. Tony, I was very pro-Brexit, and am concerned that the May government will blow it, to the detriment of both the UK and the EU. A successful Brexit would surely increase the pressure for change within the moribund EU. Definitely an opportunity rather than a problem, bjut those who benefit from the status quo will (almost) always defend it. I agree 100% with Faustino (Michael Cunningham) about Brexit, and May’s failure to carry through a successful exit from the EU. That’s good. Another side of the story. I was too willing to be led. Trends are estimated as 2.2 +- 0.2/y mm in elevation, 0.0011 ± 0.0001 °C/y, and (−2.825 ± 0.17) × 10−5 for surface elevation, temperature and salt, with formal 2-standard deviation uncertainties. The temperature change corresponds to a 20-year average ocean heating rate of 0.48 +- 0.1 W/m2 of which 0.1 W/m2 arises from the geothermal forcing. This is good news. An inch a decade of SLR is manageable. 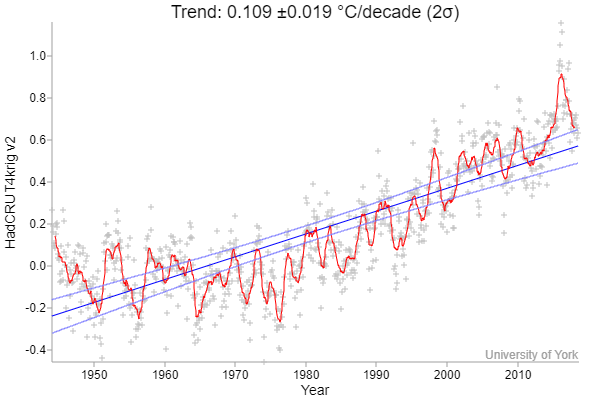 The oceans are warming at the rate of 0.11 C/century. They are huge. I think the oceans are fine place to put all the trapped heat. Taking 0.11 C/century we get 5.5 cm/century of steric SLR. And steric is half of all SLR. They need Greenland and Antarctica. Ocean water is unresponsive to temperature to changes. This fact is known more than most things. It is one of the most stable things in the whole shooting match. They’ve vacuumed up 92% of the warming. And it hardly matters. They stand as the Kings with their massive reserves. Hide the decline (of climate science). So Banton believes that IPCC opportunistic ensembles are settled science and Jiminy leaps on the 4 degree bandwagon to discuss Georgia temperatures in 2100? We have actually done the experiment. The post war period saw the start of increased CO2 emissions – but also the cool middle century regime, the post 1976 warm regime and a plateau since 1998. Ocean regimes about which there is settled science. I still have no convincing rationale for why this rate should so dramatically increase this century? Should it not be demonstrated that there is no risk? The argument that we don’t know and shouldn’t act until we do is an argument from ignorance. It appears that a lack of proof to the contrary is seen as proof that warming is not continuing and/or harmful. But in the nature of things there is a low probability but unknowable risk of catastrophe. Whatever the case – rational policy remains as meeting whatever extreme challenges – far more extreme than anything seen in the 20th century – nature throws at us, meeting food security and biodiversity goals and with inevitable technological innovation across sectors. Modern approaches to land and soil management are needed for many reasons. This is coming up next month – well worth a listen I imagine. Cloud cover responds to sea surface temperature – more cloud cover with cooler ocean surfaces. Where sea surface temperature changes most dramatically is in upwelling regions of the oceans – especially the Pacific. Although space and ocean based data is limited – sea surface temperature varies over ages. if the AMOC slows down, it causes warming. if the AMOC speeds up, it causes warming. These both confirm what I’ve been saying for years, that Barents Sea temperature and with it Arctic ice, follow the AMO which in turn is essentially a sine wave in strength of the AMOC. The official CPC/IRI outlook calls for neutral conditions through northern summer season, with a 65% chance of El Niño development during fall, rising to 70% for winter 2018-19. The official CPC/IRI outlook calls for neutral conditions through the rest of northern summer, with a 60% chance of El Niño development during fall, rising to 70% for winter 2018-19. The official CPC/IRI outlook calls for a 50-55% chance of El Niño development during fall, rising to 65-70% for winter 2018-19. As it has been shown, El Niño is under solar control. There is a high chance of El Niño developing at the time of the solar minimum. The forecast for the solar minimum is during the first half of 2019, so there is a high chance of El Niño during the second half of 2019. The probability of this pattern being due to chance is less than 1 in 4000. Vladimir and Estragon will be very disappointing to hear that that. How long now have they been “Waiting for El Ninot”? There is a mini El Niño every Christmas due to the SH summer. But not so often a real one that engages the Bjerknes feedback. Blocking patterns – a more meridional wind field – in both hemispheres spin up ocean gyres and biases the Pacific to more upwelling on the eastern margin. Negative SAM and NAM – alternately known as AO and AAO – increase meridional flows in low solar activity. The Hale Cycle seem a candidate for the 20 to 30 pattern – with periodicities modulated by internal resonance. I don’t know what to expect this year – other than dramatic change and soon. But things are holding neutral at the moment. Nor do I know what will happen at the end of the Hale Cycle. What I do know is that I cannot begin to get what Javier does from these fragments. Re Michael Mann shouldn’t the same standards that apply to Pres Trump apply to Mann re blocking on twitter. The exact same standards apply. If Mann were POTUS and if he chose to do something silly like make Twitter his primary means of communicating with the people, then he should not block citizens. Climate models provide the principal means of projecting global warming over the remainder of the twenty-first century but modelled estimates of warming vary by a factor of approximately two even under the same radiative forcing scenarios. Across-model relationships between currently observable attributes of the climate system and the simulated magnitude of future warming have the potential to inform projections. Here we show that robust across-model relationships exist between the global spatial patterns of several fundamental attributes of Earth’s top-of-atmosphere energy budget and the magnitude of projected global warming. 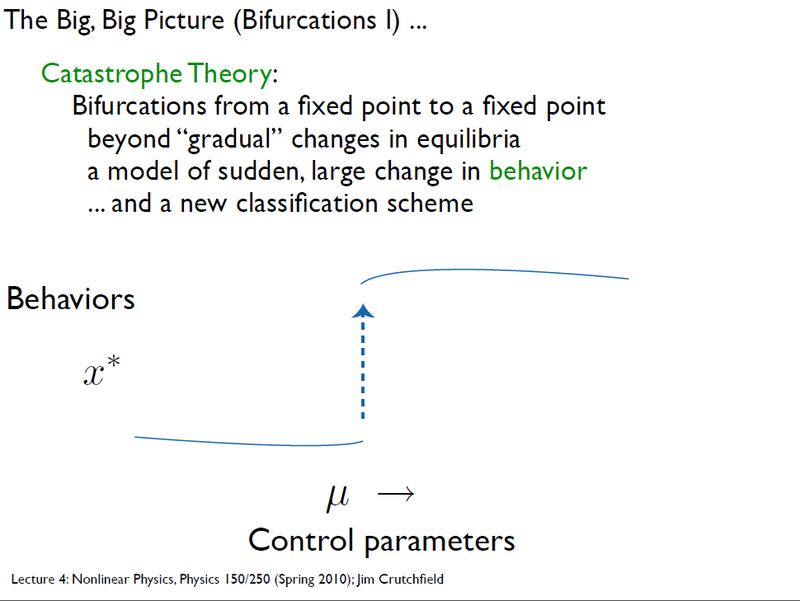 When we constrain the model projections with observations, we obtain greater means and narrower ranges of future global warming across the major radiative forcing scenarios, in general. In particular, we find that the observationally informed warming projection for the end of the twenty-first century for the steepest radiative forcing scenario is about 15 per cent warmer (+0.5 degrees Celsius) with a reduction of about a third in the two-standard-deviation spread (−1.2 degrees Celsius) relative to the raw model projections reported by the Intergovernmental Panel on Climate Change. Our results suggest that achieving any given global temperature stabilization target will require steeper greenhouse gas emissions reductions than previously calculated. The trouble with the pipeline is that it seems to be going into the oceans, not out of. Return would be necessarily slow and over centuries. Heat would escape from the oceans more rapidly were the atmosphere colder than normal, but this also indicates the moderating influence of the oceans. Potential of greater warming than in CMIP ensembles of opportunity inferred from a perturbed physics ensemble. Problem is what solution of 1000’s generated from different initial conditions do you send to the CMIP? The thick black line is my choice. Yet another result that shows evolution means reversion to the mean. It’s good she’s trolling MAGA. Fossil fuels were partly why we got great. Men deny climate because they don’t have good jobs and their women want to work. Climate denial is something she’s had an opinion on. It’s about men trying to hang onto the past where they had an identity, position, power and man rights. So as the world changes, they lash out against climate change rather than adapt to the world changing. They aren’t that bright. And they doubly lash out against women telling them they are deniers. It’s an easy link to Trump and climate skepticism. So listing it all again: Fossil fuels, Trump, dumb rednecks, climate science, women. In the above, she’s not criticizing climate science. But there is a chance that fossil fuels are good, Trump was somehow correct economically and so too are rednecks. We can view climate science as what a few bad rednecks do when they communicate with her. Using these rednecks as a bell weather to explain it. Like Arctic sea ice. Viewed from a policy perspective, Trump did win and he has the rednecks to thank for that. While she sees wrong things happening to her as described in the article, behind it is a more moderate and substantial point of view, that I think is more correct than the liberal status quo on climate change. Those rednecks stepped out of bounds when attacking Hayhoe. Complete fail. She may be what she says. But it’s an ineffective argument, fair or not. If one were to look at the middle, they might see something else. Climate-denial is not the target. It’s the Mann trick of flogging the extreme and not solving the problem. The nation is more polarized. Our goal it work towards the middle. The other side more polarized. Pointing that out without self reflection is what? One could turn what Cobb said around. The left has stopped talking and started calling names. A meeting of the flat earth society. Promoting tribalism. I got around to Chomsky. He says humanities (or something like that) are in their infancy. In my opinion the same goes for climate science. I’ll to the best I can. He talks about the liberal elites. Who are supposed to be liberals, but 95% of the time back the establishment and do not challenge it. He says more or less challenge all power. It reminded me of Peterson. The liberal elites support the power hierarchy. It’s true they want to change it, but to their hierarchy. Not the end of it. He gives instances of the liberal intellects continually selling out their ideals to maintain the status quo. The interview is from 2015 so Trump is not dragged through the mud. Recently what’s his name wrote a book and I think mentioned South Korea and why we are there? A liberal intellectual would ask that question and not use it as proof of Trump’s derangement. How’d all those Middle East wars work out for us? Out intellected by Trump. So much winning. Thanks for the; Wunsch: Towards determining uncertainties in global ocean heat, salt and surface elevation. Always good to read from him. I have his book from years ago about oceans and will dig it out. Always good to get pushed back on the rails of science. Oceans are huge and hold lots of CO2 and continue the 7″ per year sea level rise until we have the evidence to indicate a faster rate. Maybe 10″ now but in San Diego the flat hills crests above the coast show the old high stands from the ancient sea level records. This paper seems to be seriously flawed. So to start with 2xA has to equal T0^2 to cancel damages from the initial temperature due to adaptation unless you take the position that the initial temperature was damaging. However, there are still damages in from the concentration of CO2 term. 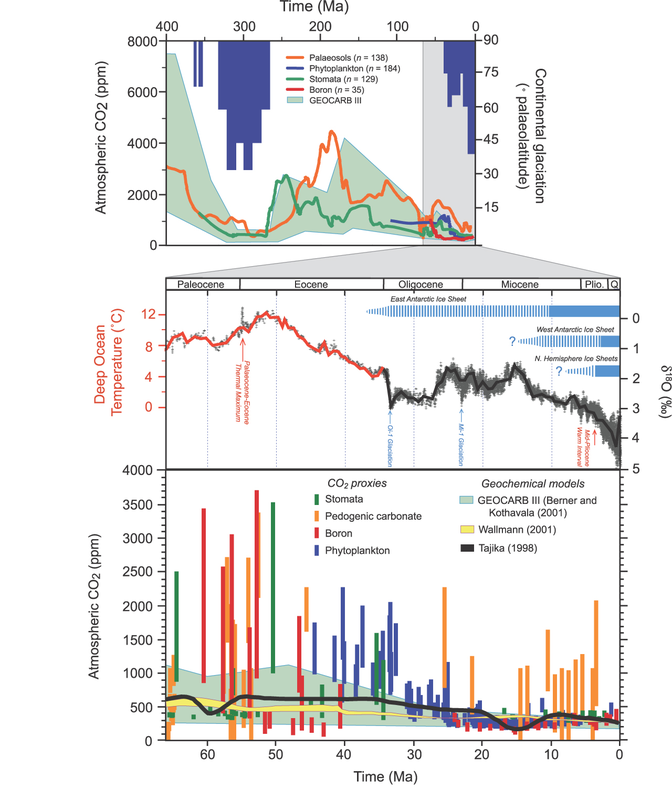 1/2sS0^2 has to be positive, and therefore even if one assumes that the initial temperatures were offset entirely by adaptation, prior to the industrial revolution we have damages that were incurred due to the concentration of CO2 at that point. Further the optimum T value is 0. The paper does not indicate which units they are using, but regardless of degrees Celsius, Fahrenheit, Kelvin, etc. I find it hard to believe that there is credible evidence for an optimum temperature value of 0. I thought maybe they were using temperature anomalies, but Figure 1 makes it clear they are not. Similarly, the optimum concentration of CO2 is also zero. The literature clearly indicates otherwise; a zero CO2 concentration would be pretty much fatal to most living things. Another problem is with the time rate of change of the temperature, and CO2 concentration. According to their formula, a temperature change that takes place over a long time requires the same cost of adaptation as one that is instantaneous. Concordantly, the CO2 concentration is net damaging for all values except zero regardless of rate of change. The research confirms a recent study showing that, as carbon dioxide levels rose over the past century due to human emissions, the Gulf Stream has shifted northward and the Labrador Current has weakened. The new paper finds that this causes more of the Gulf Stream’s warm, salty and oxygen-poor water to enter the St. Lawrence Seaway. What goes up must come down. If the Labrador Current doesn’t come down, the Gulf Stream can’t go up. Then the sea ice will come back. I was searching for something that may not exist in the book, and not something to do with climate. It’s a section on carb tuning. So with my Vespa rehabilitation project I assumed the carb was gunked from so little use and maintenance, and out of tune. Varnish moves from gasoline to the carb parts. Carb jets being tiny may gunk This was assumed to cause the lousy throttle response, lousy idling and bogging. Experiments were designed. I predicted cleaning parts of the carb and the correct tuning would improve the problems. The experiments were conducted and those results were realized. Conclusions were formed relating back the beginning of the process, for instance, statement of the problems. In a number of ways Climate Science has failed to duplicate what many many people do on a daily basis. Confidence and stridency are not warranted. Is it possible to Facebook share a specific article from here? Perhaps my adblocker is hiding something. I think there’s a lot of potential to increase your reach. I am sure someone’s already thought this one up: Establishment climate scientist. There is no establishment. I thought you told us everyone agreed. We skeptics are also looking for a control knob. Is it what people think about capitalism? If I want wind turbines in Minnesota to level off in their use, what do I say that will work? It’s not going to be easy. Going to paraphrase Peter Thiel. When you have a democracy, it’s 51 to 49%. Or 70 to 30%. The majority is probably right. When it’s 100 to 0% or 99 to 1%, that’s when we begin to suspect we are not in a democracy but in North Korea. I bring this up regarding the 97% consensus. And to emulate North Korea. Good job. When there are no dissenting voices, something is wrong. We’ve either reached utopia, there is nothing further to learn or discussion is no longer allowed. I hadn’t known he claims to be kind of a libertarian. There’s probably a 97% consensus that the earth is not flat. Okay. It’s not an absolute as you point out. It might make more sense if you hear his context. I think he was talking about the left’s conformity. Not on science but socially. But when you take climate change and are on the left, is one conforming? I think he was trying to say that many times the left conforms on a number of issues. Who can object to the kinds of things Stanford is doing while being a student or even a prof there? So, he questions, is Stanford right on this or that issue? Conforming and/or consensus may then not be an accurate signal or even describe what’s going on. It can contain a component of conforming so the mob doesn’t come to get me. For instance, mobs take out lots people socially. They make one mis-step and they are sanctioned and/or have to grovel for forgiveness. Or take for instance studies that support more men in engineering fields in college. Try to bring up the science on that, and you soon learn to conform. Conformity may then replace the best science. I know I’ve got this all scattered, but consensus – conformity. How are the two related in a situation? Conforming if it exists, can attack consensus, making it mean a lot less then what people think. So people just conform, when they actually think something else. And the conformity police. That’s a whole other story. People on the right conform too. Look at religion. Look at high society. Look at the attempts at forcing conformation regarding social/religious views, and disrespect for non-conforming minorities. The left conforming with scientific views is relatively benign. People on the right conform too. So I shouldn’t argue you do it more. Conforming can hide what people really think. And it sets up this inner conflict, like I am a psychologist or something. Can I think of an excess on the right? Gay marriage. People conformed for years. Even my liberal Senator who was otherwise quite the lefty voted for the DOMA. So then what happened? Fast change with only a small minority being vocal now. So I think what people really thought, a material amount of them, was suppressed by having to conform. I think of President Obama’s flat earth society remark. Conform. If you see something, say something. Relating to climate, try not to go off the rails with that one. When many people talk, they’ll start by saying, climate change is real. They are confirming to protect themselves. Sure I you want to think society’s current climate is similar to climate change’s current climate. One may ask, Should it emulate society’s limited tolerance attitudes? Comply with, abide by, obey, observe, follow, keep to, stick to, adhere to, uphold, heed, accept, go along with, fall in with, respect. Equating climate deniers to flat earthers was on point for Obama. There is so much evidence that the anthropogenic forcing is pretty much all of it, and the skeptics are just unaware or not good with numbers or concepts like energy conservation that are in basic physics. So if you say leftists are conformers by believing the science while those on the right are more likely to view it as a lefty plot, go for it. See how far that view gets you. Generalizations like that don’t work. Just because you defer to peer reviewed science doesn’t make you a lefty or even a conformer. It just makes you sensible.